This report is an itemized breakdown of all additional closing fees from your commission disbursements. 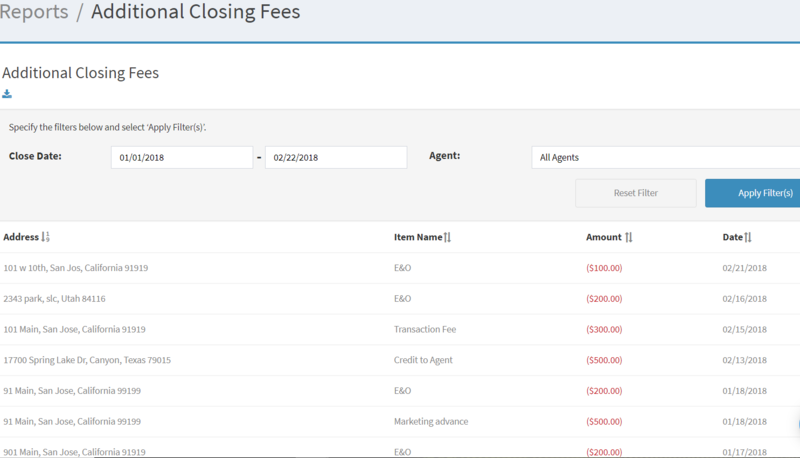 You can filter this report with specific date ranges, and by all agents or by specific agents. The agents also have access to this report in their profile for their specific transactions.